When you move abroad or from one address to another outside Finland, please inform the change of address to the Finnish Population Register System maintained by the local register offices (population information act, Väestötietolaki 507/1993, as amended 661/2009). The notification can be made by filling in the relevant form online. Updated data in the Population Register System ensures, for example, that you are informed about your right to vote in Finnish elections. A list of the polling stations and their addresses abroad will be appended to the notice of right to vote to be sent to Finnish citizens residing abroad. 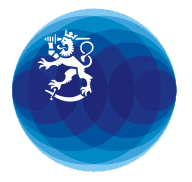 The population information act obligates Finnish citizens living abroad to inform any changes to their personal data while abroad without delay, such as birth of a child, marriage, divorce and change of name. A Finnish personal identity code and up-to-date data in the Population Register System are also required when applying for a passport. The local register offices do not inform the addresses of Finnish citizens abroad to the Finnish missions or embassies, consulates or their offices. This is the citizens’ own responsibility. Assistance in a crisis situation can be provided sooner if the local Finnish mission has the contact details of the Finnish citizens living or travelling in its sphere of authority. The missions keep a personal data register of the persons who live in the country and who have informed their data to the mission. Personal data is always handled confidentially in accordance with the data protection provisions and the Consular Services Act (Konsulipalvelulaki, 498/1999). Finnish missions abroad do not inform the addresses of Finnish citizens living aboard to the local register offices in Finland, but it the citizen’s right and obligation to do so.